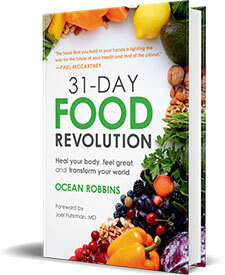 Local health coach and Qigong instructor Stephanie Prima is featured in the current top-selling health book in the country, ‘31-Day Food Revolution,’ written by Ocean Robbins, founder of the Food Revolution Network (FRN). The book is an impeccably researched yet charmingly accessible guide to using nutrient-dense foods to leverage greater health for you while also healing the planet. Stephanie’s work teaching a whole plant-based foods diet is highlighted in two chapters in the book. The book became a national best seller right after it was released on February 5th. You can order your copy through Griffin Bay Bookstore or your favorite on-line retailer. Stephanie Prima, owner of Move Into Mindfulness LLC, is a Holistic Health Coach, certified Qigong instructor, and authorized instructor of Tai Ji Quan: Moving For Better Balanceâ (TJQMBB). 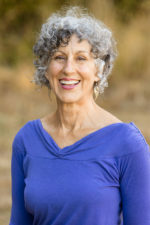 She teaches classes and works with private clients to help people age with less pain and the energy of a much younger person.